Buying Valentine’s Day gifts for your boyfriend or husband can be a bit tricky. When thingking creatively, you simply aren’t going to find that in any store, you can personalize the gifts by your hands according to your boyfriend’s favorite colors, cartoon characters, memories of your favorite vacations or other sweet things. Here we have some easy DIY Valentine’s Day gift ideas that will make your boyfriend smile on this special day for love. 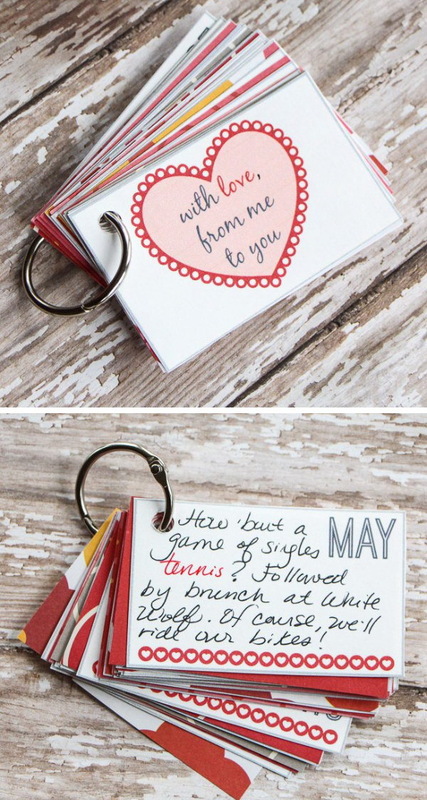 Craft a collection of 12 pre-planned date cards and make it easy to get in those important date nights. This will be a very special Valentine’s Day gift for your boyfriend. 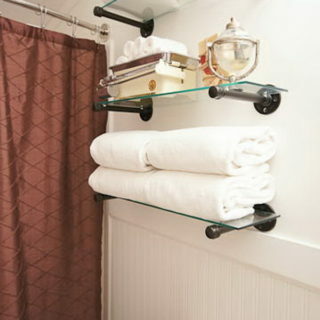 From Thinking Closet. Explosion gift boxes are the latest trend in do-it-yourself gifts. It is so novel and entertaining when you take the box top off and get it explode open. It makes great gifts for just about any occasion when packaged with a small gift, money, photos or a gift card. Video tutorial from Youtube. 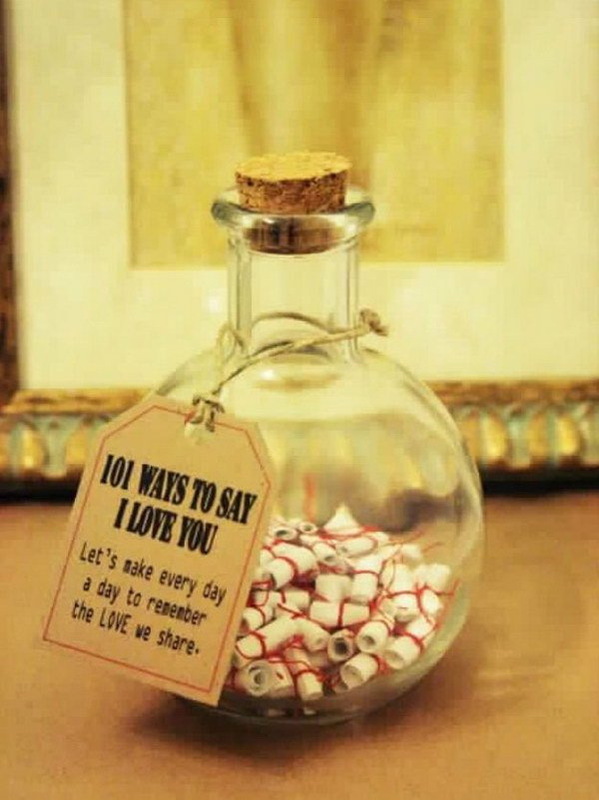 Love this super sweet and neat idea to give gifts to your boyfriend or husband in a romantic way! From The Good Stuff Guide. 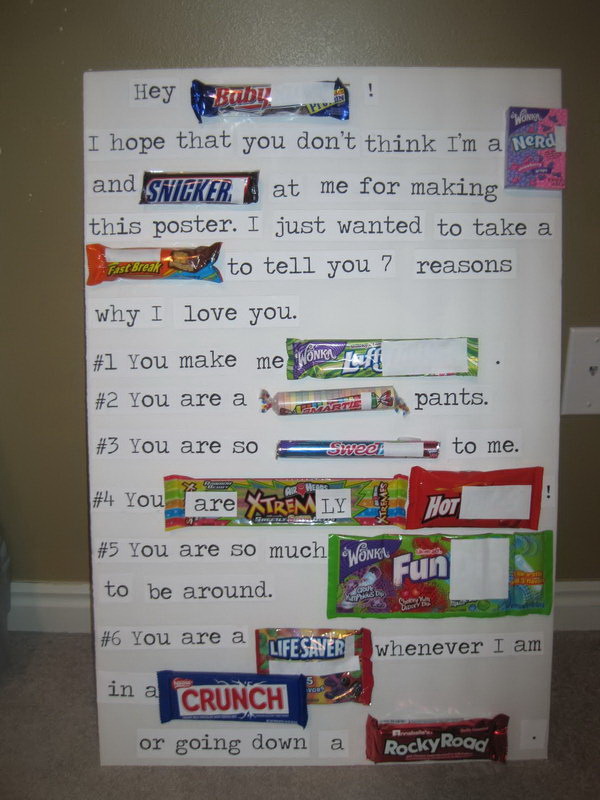 Candy bar poster with clever sayings really does say a lot and make great gifts. This romantic candy bar card will be totally suitable to create for your honey. 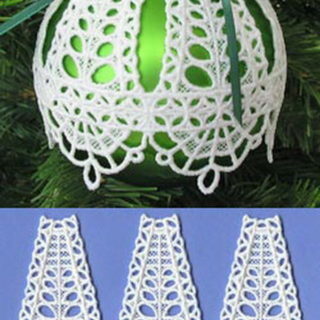 From Bunch of Craft. 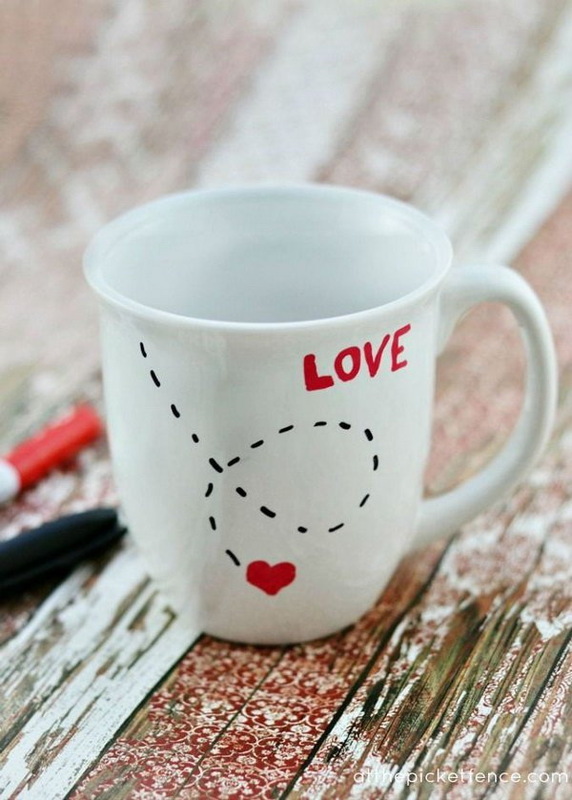 Make this DIY love mug as Valentine’s Day gift with Sharpie markers! Super easy and quick to make. DIY tutorial via At The Picket Fence. 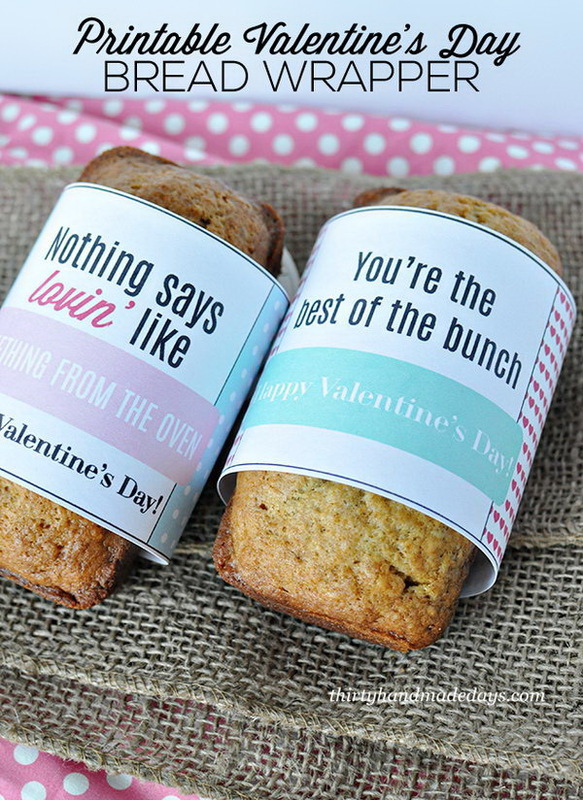 Bake bread for your boyfriend and add this cute little wrap around. It’s so cute and makes an easy holiday gift for any occasion. 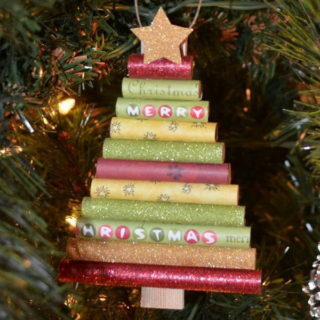 See steps via Thirty Handmade Days. 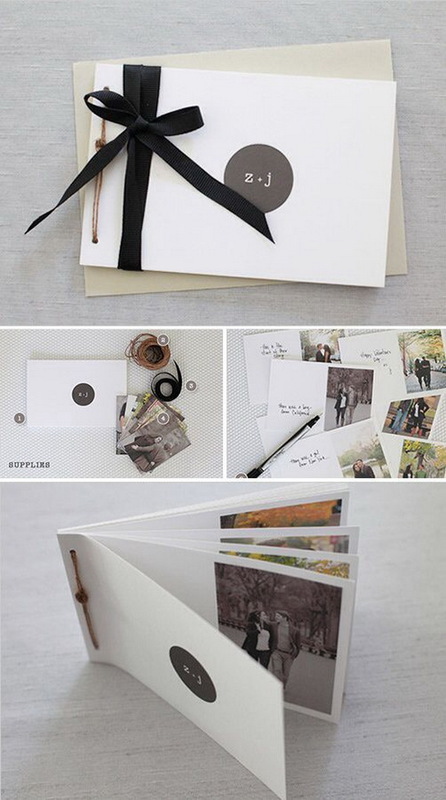 Make this easy gift with special messages and significant photos. A romantic and creative valentine’s day gift for your honey. Tutorial via View from the Fridge. 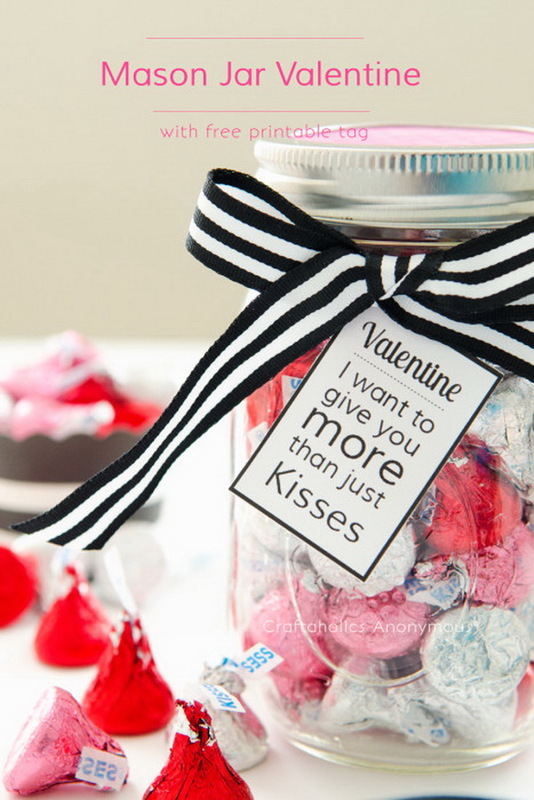 Simply fill a mason jar with all sweet kisses that your boyfriend likes! This makes a super easy and heart felt handmade gifts for your beloved one. Details via Craft a Holics Anonymous. 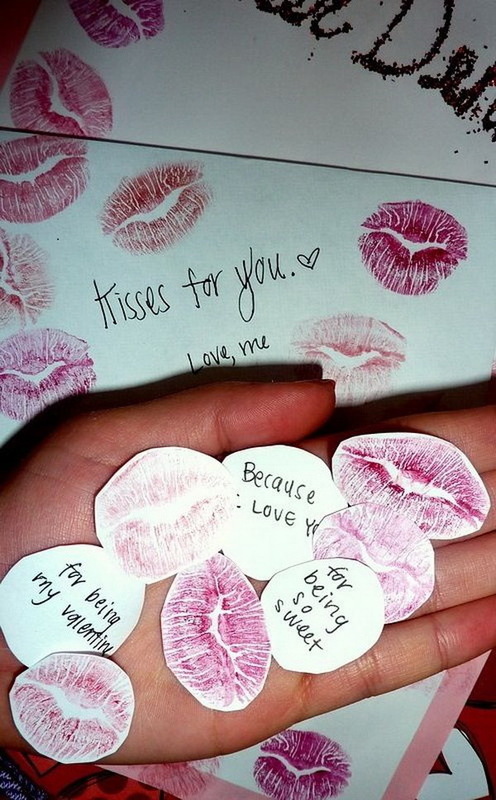 Cut out little lipstick kiss marks and write some sweet love notes on the back for the special one in your life! It would be a cute and romantic gift for your boyfriend. 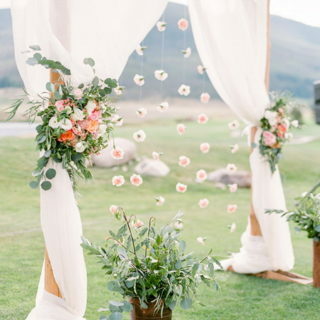 DIY details via Wedd Book. 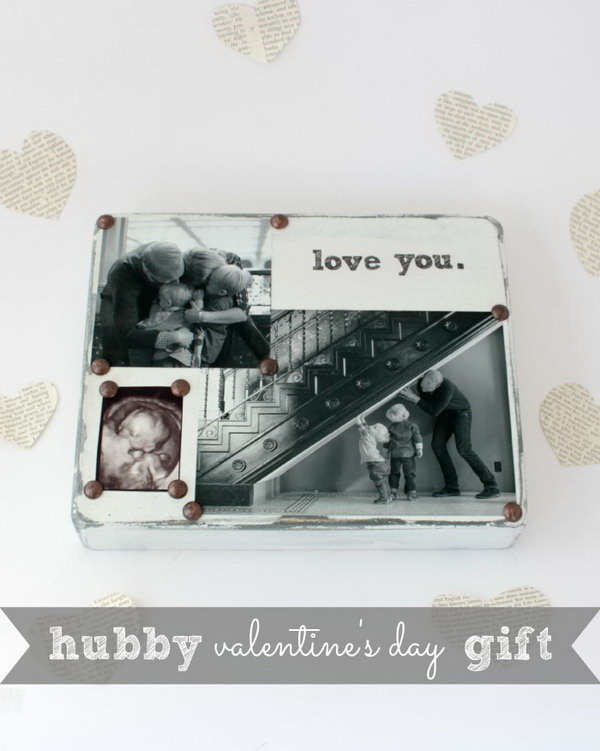 Find a rounded gift box and fill it with your photos in round shape and your love messages. Great gifts for him! Tutorial via Voyages of the Creative Variety. Another fun gift idea for your Valentine’s Day! 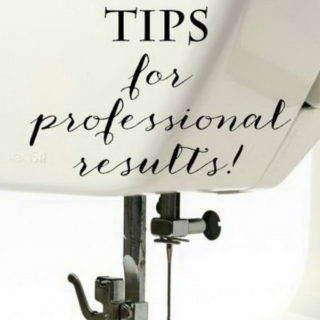 See the details via Tried and True Blog. 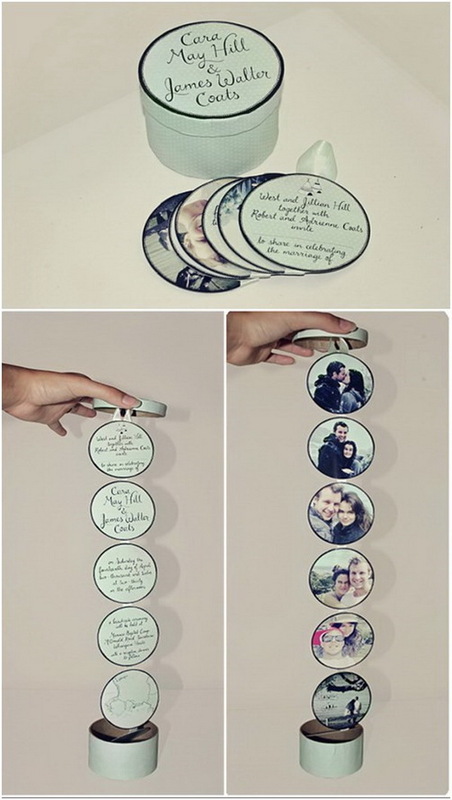 Making a romantic scrapbook is a great way to preserve all of your favorite memories together with your boyfriend. It makes a wonderful, personalized gift for birthdays, anniversaries, and Valentine’s Day. From Pinterest. 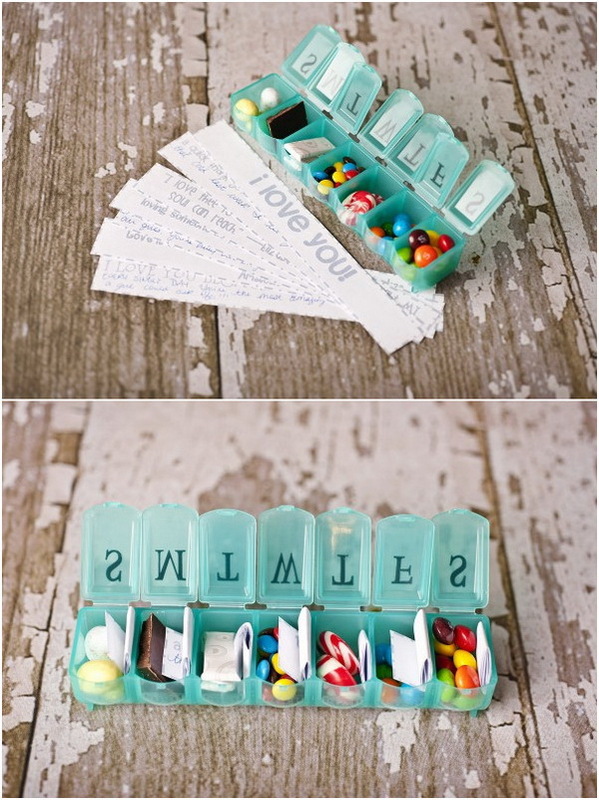 Surprise your beloved one with seven days of thoughtfu love notes or quote and a few pieces of candy in a special pill box container on Valentine’s Day! He will love this gift very much! DIY tutorial via The Dating Divas. 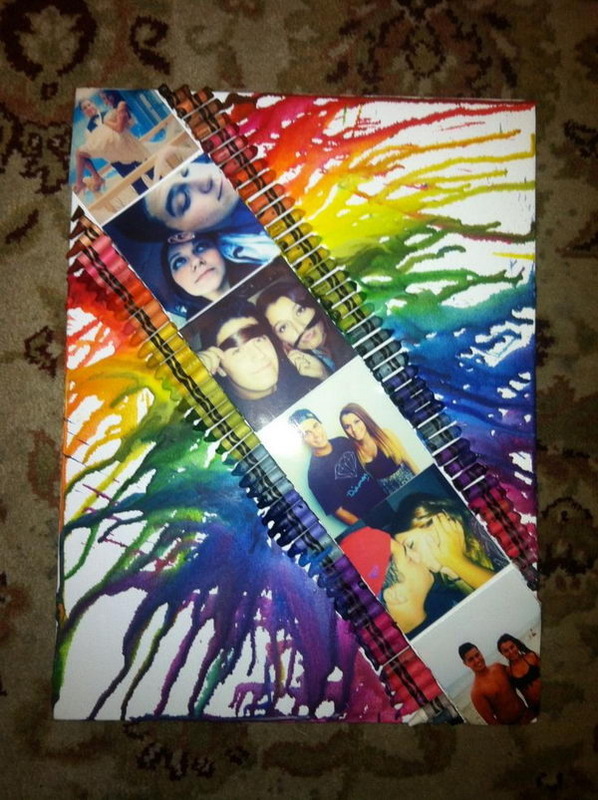 Make a mini love book with your cherished photos with your boyfriend and some love quotes or notes for your friend! DIY tutorial via Wedding Chicks. Oh my god, so cute! I definitely follow your tips to decorate my home on special days. Thank you for sharing experience! ?